“I don’t have to run at all,” the former Gladstone Regional Councillor and long-time resident and community champion for the Boyne Tannum area revealed. “I think it’s amazing. I thought I’d have to run at least some distance, do a bit of training, but it will just be me, alone, on a Larc for my leg of the relay,” she said. “They’re taking both Larcs down, I’ll be on one, and the media will be on the other. So I will have a nice, easy, lovely relay leg,” she said. 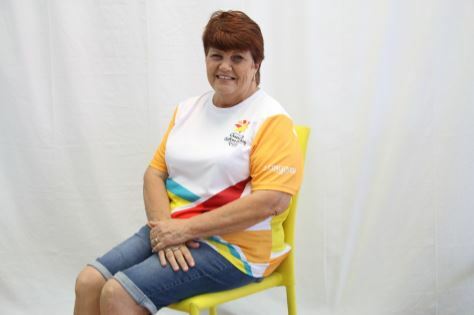 “I was heavily involved with the Tannum Sands High School, I was the first president of the Tannum P&C and I’m a life member of that now, with my younger son being one of the first students there,” Maxine said. 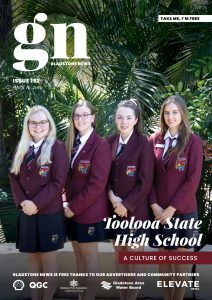 “I’ve always loved being part of the decision-making process for things that affect my community – and that’s my Boyne Tannum Community, the regional community or the Central Queensland hence my role in council,” she said. Maxine’s efforts were instrumental in establishing a lot of indispensable local initiatives improving the liveability of Boyne Tannum, such as the establishment of Bindaree Lodge. Of course, one of those many things was BAM, the hugely popular monthly Beach Arts Music festival on Millenium Esplanade, as well as the Under the Trees festival and the Turtleway Artscape. “We empower community to be part of the process of making sure that kids are getting the best chances they can get,” she said.